As a presenter, employer or manager, how can you make meetings more successful? How can you present information & address issues effectively, increase attendance and improve morale? I’m going to share some tips to improve your meetings. These are strategies I’ve learned from others & through research – along with some things I learned the hard way as a meeting organizer. Office meetings, management meetings, employees meetings – they aren’t just items on the schedule. They’re terms that can make most of us who’ve been there & done that cringe. If you’re a meeting organizer, maybe you’ve noticed meeting attendance is thin or interest in the material is all but non-existent. I’ve heard managers ask, “Why should I have to sugarcoat things?” when it comes to meetings. There’s an old saying to answer that: “you’ll always attract more flies with honey than with vinegar.” No matter what kind of meeting you’re having, undoubtedly, the result you desire is to appeal to the people in your meeting. You’ll always attract more flies with honey than with vinegar. As a manager, I had the challenge of changing the perception my employees had about regular meetings, from something dreaded to something they were happy to ‘be a part of’. Previously, most of the staff would rather have a root canal than attend a meeting. Staff had to be present even if it was their day off but they weren’t paid for the meetings. Employees got a handout which was then read to them, followed by a lecture often lasting an hour or more and finally, a 1-2 minute pep-speech. Month after month, every bi-weekly meeting was almost identical to the others, and the team was fed up. It was time to change things up! Sound familiar at all? The great news is, dry, boring meetings are an issue which is easy to change. If meetings have long been an issue and you’re in charge of them, it might mean first changing how you think about meetings in general. Here are some valuable tips & strategies that will really help turn things around in your meetings. Something no one in the company likes to see or hear is the word ‘mandatory’ before any kind of meeting. If you’re having a workplace meeting, ask people to be there and then compensate them for their time. A verbal “thank you” for attendance is always nice, too. Reprimanding or embarrassing people for not attending has never had good results, so if you’d like a person to be at the next meeting, just ask them. If you’re struggling with meeting attendance, it can help to let people know the importance of what will be covered, along with telling them you’ll have refreshments, drawings, etc. (see #4, below). If you’re worried no one will show up for voluntary meetings, relax. Let everyone know the meeting style is changing & just give it time. When I took over the ‘mandatory meetings’, less than half of the staff typically showed up. A few weeks after making those meetings voluntary, we averaged 90% attendance! And, that goes for handout materials as well as any heads-up presentation. It’s fine to explain, embellish or even narrate what appears on the screen in front of your captive audience but a meeting isn’t the setting to read to people word-for-word what’s already in front of them. If you must read something, make it something like a brief excerpt or very short story. There’s no better way to bore your audience to sleep than by reading to them. If most of your staff would give you the honest answer, they’d tell you that all statistics are annoying when they have to listen to them during a meeting. If you have handout material, put stats in the sidebar or a call-out box somewhere so people notice them but can read them on their own. Some managers seem to be afraid of this. I’ve heard from a few that they feel open-forum settings or Q&A sessions cause chaos, distraction, and loss of control over the meeting. Whatever the presenter is uncomfortable about can much more easily be dealt with by asking questions and honestly answering others than by avoiding it entirely. Trust with your team grows when they see you are making a genuine effort, to be honest, and open with them. Ask people to come up with ideas & solutions to issues the organization is facing. Ask them what they feel needs improvement. Invite staff to approach you if they need to after the meeting. A spoon full of sugar helps the medicine go down! Even if the subject matter is serious stuff, lighten the mood! If it’s in the budget, buy everyone lunch. If things are tight financially, at least have coffee & donuts or something similar available for everyone as they come into the meeting. Have some upbeat music playing for the 5 minutes it takes everyone to come in, grab handouts & get seated. When the music stops, they’ll quiet down & look to the front of the room. How about a theme from time to time – like a Hawaiian theme, adventure theme or Set-The-Marketing-World-On-Fire theme? Props from a dollar store aren’t going to cost much, but they can have a ton of value when it comes to making a difference in your meeting. A 5-minute game will add to any meeting’s interest, too. Have an old case of promotional items in the office closet? Give stuff away to the first few people to be seated or have a drawing for some cool swag. Think about the various aspects of organizing & presenting your meeting to identify anything negative, then turn it around to make it a positive. Don’t worry if it’s not “how things have always been done before”. If you’re looking for a better result than what you’ve had before, things need to be changed – even shaken up a bit! It’s important to include everyone as much as possible, acknowledging them as individuals with needs & feelings. As a leader, be available for your people – be an advocate for them and they’ll follow you anywhere. It may take a few meetings using new ideas for the word to get out that it’s not the same, dry, boring lecture time as before. Be patient, be creative and have fun! These tips are guaranteed to improve your meetings. If you have more ideas or other tips, share them in the comments below. Solid suggestions for truly socializing otherwise boring office meetings. I particularly like the part about the food! Thanks for posting. Meetings are a necessary evil. Why not make them more fun and engaging. Great !! Thanks to share !!! @mithuhassan Thanks Mithu! Wishing you a great new year! Have everyone stand up during the entire meeting and it will become a lot more efficient! 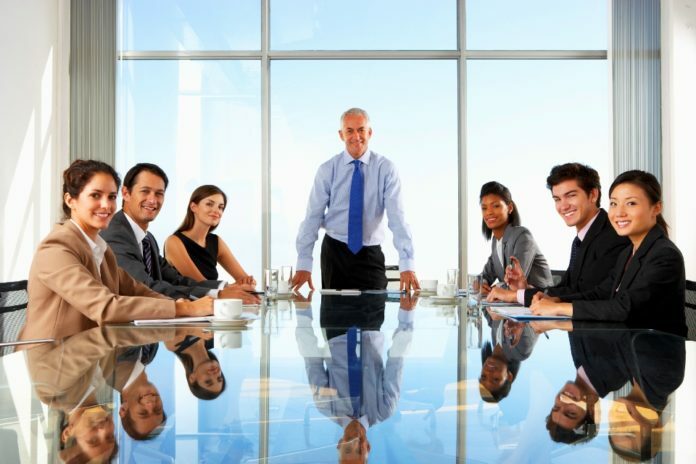 Meetings are the realistic approaches in making the business a smooth and streamlined structure that keeps importance in every possible segment. I work for a service based company and basically our team members work remotely and the necessity of meeting is a must for all of us. Practically in order to match up with the requirement, we prefer using the cloud based task management software from Replicon ( http://www.replicon.com/olp/task-management-software.aspx ) that helps maintain a great approach for business management and apparently gives a smooth platform to manage the tasks. Everything is changeable, everything appears and disappears.